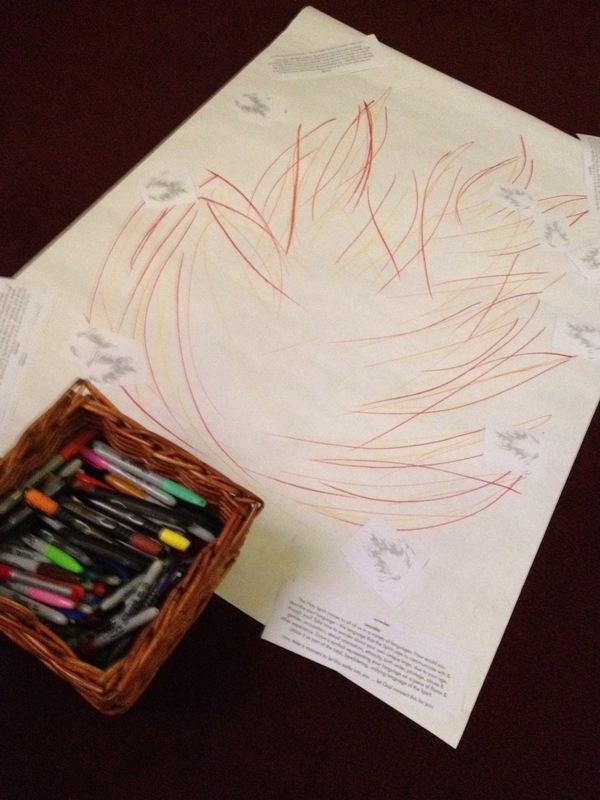 Pentecost provides a lot of wonderful images to center interactive prayer stations around: birthday, fire, breath, and wind – just to name a few. 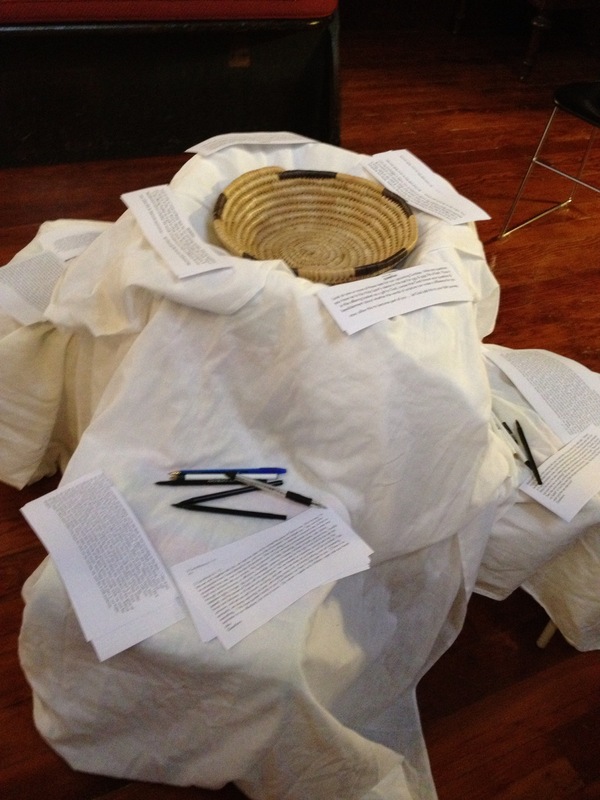 Below are ideas for interactive prayer stations focusing on how the spirit strengthens us through renewal, hope, and guidance. The interactive prayer stations are meant to be intergenerational. There are also stations designed for kids. 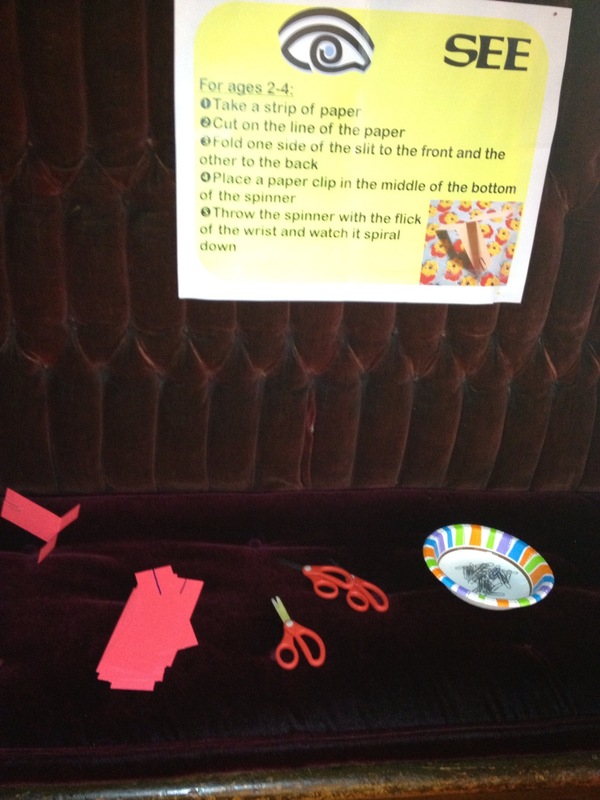 (For more specific instructions on layout, purpose, design, and more ideas, you can view previous posts tagged under “Interactive Prayer Stations.”) You can view more pictures here. Look at one or more of these texts for our upcoming Sundays. Write any questions you have as to the Holy Spirit’s desire in the text for you and your life of faith. Place it in the offering basket as a gift to God, aware that God honors your questions and bewilderment about whether the words of scripture can make a difference for you. Now, allow this to become part of you . . . let God add this to your faith journey. The Holy Spirit comes to all of us in a variety of languages. How would you describe your language – the language that the Spirit uses to communicate with and through you? Take time to wonder about your own unique lingo, due to your age, gender, occupation, sexual orientation, ethnicity, birth order, privilege, abuse and other experience. Draw a symbol representing your language on a piece of flame and place it as part of the total, bewildering, unifying language of the Spirit. Now, take a moment to let this settle into you . . . let God connect this for you. The Holy Spirit calls us to move out into the world and people’s lives in the midst of risk, confusion, unsettled-ness. Our spiritual lives are meant to be a bewildering pilgrimage, where the dangerous place is the place where we depend more upon God than ourselves. Where are those places for you these days? How do you receive the Holy Spirit’s call to respond? Pray that the Spirit’s fire will nurture you to receive what God desires for you. she who takes on the world – breathe. Now, reflect on the significance of this . . . let God weave this into your heart. 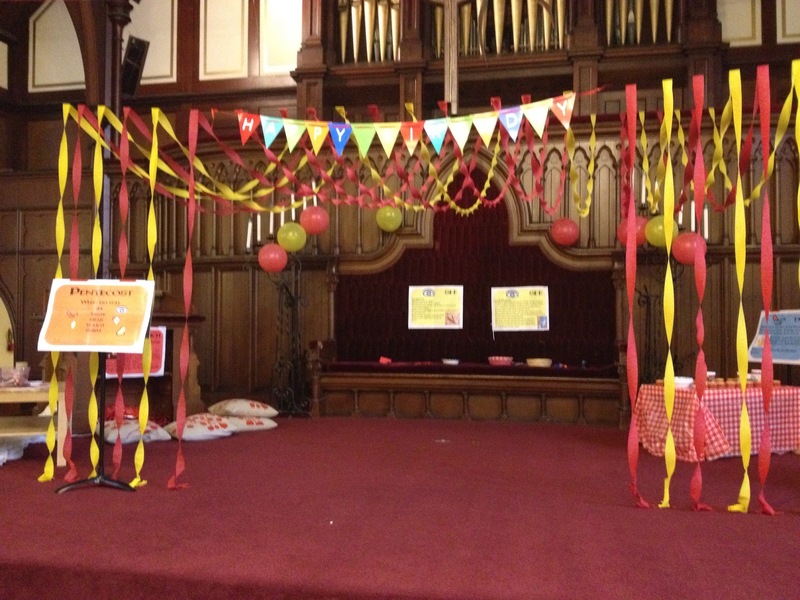 The chancel area was decorated like a birthday party to house the interactive prayer stations. The stations were centered on the senses. Activity One: In some Christian tradition, churches use rose petals to remind them of Pentecost. 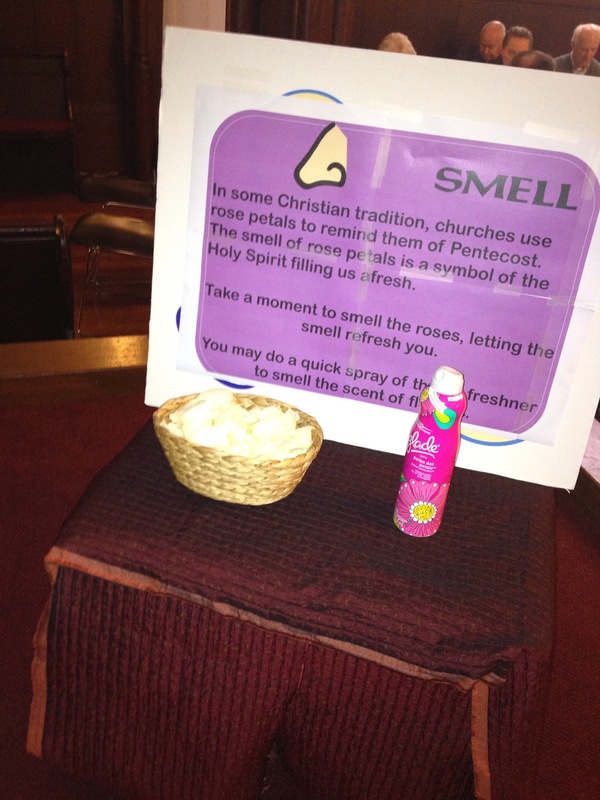 The smell of rose petals is a symbol of the Holy Spirit filling us afresh. Take a moment to smell the roses, letting the smell refresh you. You may do a quick spray of the air freshner to smell the scent of flowers. Activity two: Pentecost is the birth of the church. Just like when you have a birthday, we celebrate the church’s birthday at Pentecost. 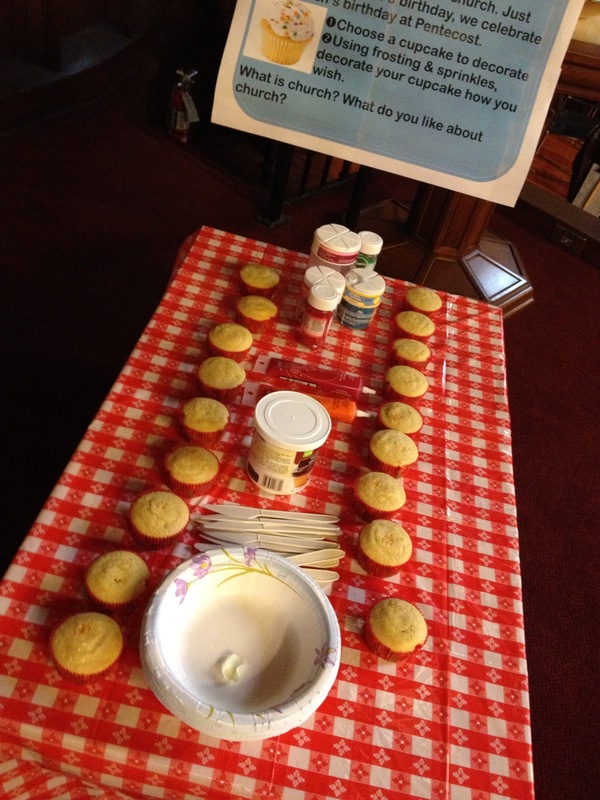 1) Choose a cupcake to decorate; 2) Using frosting and sprinkles, decorate your cupcake how you wish. What is church? What do you like about church? 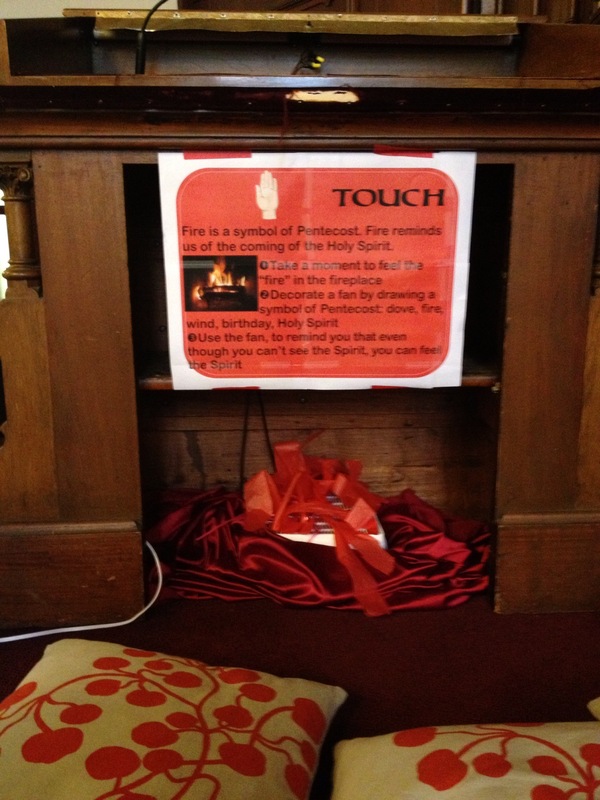 Activity four: Fire is a symbol of Pentecost. Fire reminds us of the coming of the Holy Spirit. 1) Take a moment to feel the “fire” in the fireplace; 2) Decorate a fan by drawing a symbol of Pentecost: dove, fire, wind, birthday, Holy Spirit; 3) Use the fan to remind you that even though you can’t see the Spirit, you can feel the Spirit. Wonderful ideas! Thank you for sharing them. 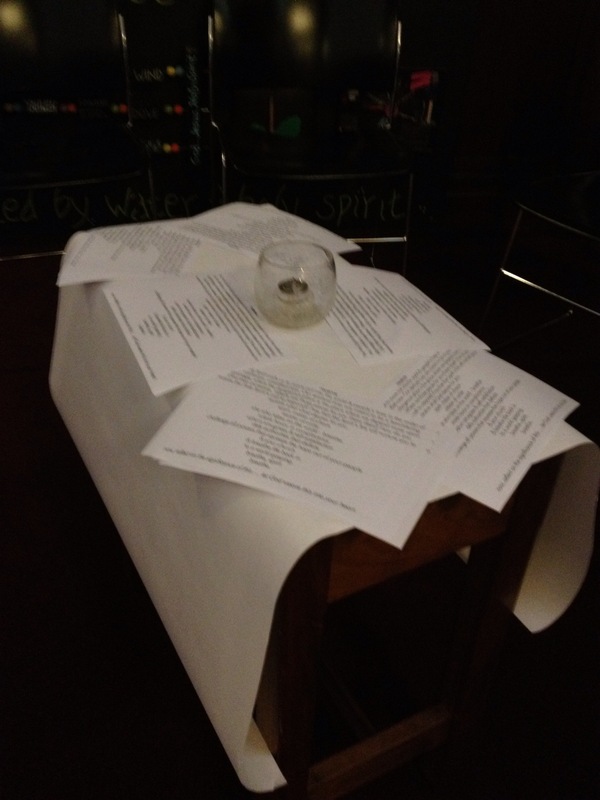 Did you write the prayer in station #3 (receive)? Can I use it for a prayer service? Sure you can use them. My Head of Staff wrote them. We work on them together.